How advisors approach mutual funds versus ETFs depends, in part, on whether they’re stock-pickers or prefer to rely on portfolio managers to identify market opportunities. Sales of exchange-traded funds (ETFs) outpaced those of mutual funds in 2018 for the first time since the global financial crisis, driven by their lower fees and the growing number of products for financial advisors and investors to choose from. Still, Canada’s ETF industry, with about $170-billion in assets under management (AUM), is just a fraction of the $1.5-trillion in AUM held in mutual funds, according to recent data from the Investment Funds Institute of Canada (IFIC). As a result, there are times when mutual funds are a better option for clients – despite the massive growth of ETFs, some advisors say. Simon Tanner, principal financial advisor with the Dynamic Planning Partners team at Investia Financial Services Inc. in Vancouver, says he relies more on mutual funds in the later stages of a market cycle. He prefers the more active management style as compared to more traditional, passive ETFs. “In later-stage markets, a good actively managed mutual fund can maximize returns and limit volatility more than an ETF can and alleviate the emotional ride for investors on the downside,” says Mr. Tanner. In addition, if a mutual fund portfolio manager is doing a good job of protecting assets when markets fall, it can prevent clients from panic selling, he says. Although fees for mutual funds are often higher than those for ETFs, they’re starting to come down across the industry, Mr. Tanner says. Furthermore, he adds that clients don’t mind paying a little bit extra in fees if they feel their portfolio is being managed actively, particularly when markets are more turbulent. The choice of whether to use mutual funds or ETFs in a client’s portfolio usually depends on the client’s financial goals and tolerance for volatility. Mr. Tanner also uses mutual funds to get expertise in certain market sectors, such as technology. Instead of buying a technology ETF, for example, he might buy a mutual fund that has an active portfolio manager who picks stocks and their weightings based on current market conditions instead of passive funds, which just track the underlying index. How advisors approach mutual funds versus ETFs also depends on whether they’re stock-pickers or prefer to rely on portfolio managers to identify market opportunities. 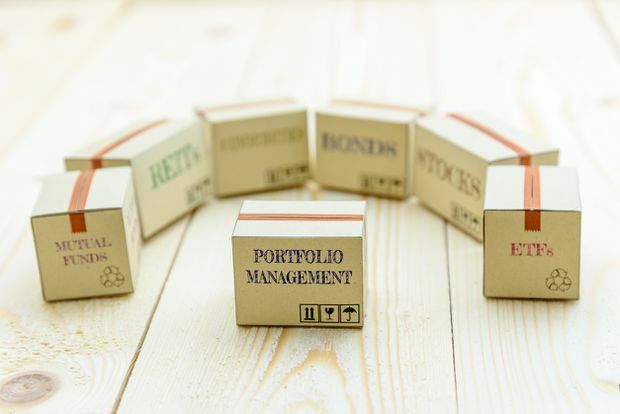 For example, Mr. Boyd says many ETFs don’t rebalance on their own, which means investors need to stay on top of the trades to keep their portfolio balanced. Although there are some actively managed ETFs that balance based on asset allocation, they’re less common. Mutual funds can also be a good strategy for more hands-off investors who want to leave the stock picking to a fund manager, he adds. “The ETF piece normally takes a bit more involvement with the client and their advisor or with their online portfolio,” Mr. Boyd says. The choice comes down to how an advisor wants to customize a client’s portfolio. For example, investors looking for emerging markets exposure might prefer a mutual fund that has a portfolio manager with expertise in the region whereas someone trying to track the S&P/TSX Composite Index or buy broad exposure to the banks might pick an ETF. Dan Hallett, vice-president and principal at Oakville, Ont.-based HighView Financial Group, says the decision whether to buy a mutual fund or an ETF often depends on the exposure a client is looking for, such as North American or global markets, and what products the advisor has access to. Fees are also part of the equation. “Our focus has always been on finding the investment exposure that makes sense for the client and then obtaining that exposure at a reasonable and competitive cost – whatever form that may take, whether it's a mutual fund or ETF or another product,” Mr. Hallett says. However, he says ETFs could still make sense if the transactions are larger or a little less frequent, such as quarterly instead of monthly, to reduce trading costs.